Sophie Perez, née Ruderman is a British born artist who graduated from the Royal College of Art in London in 2003 with an MA in Painting. 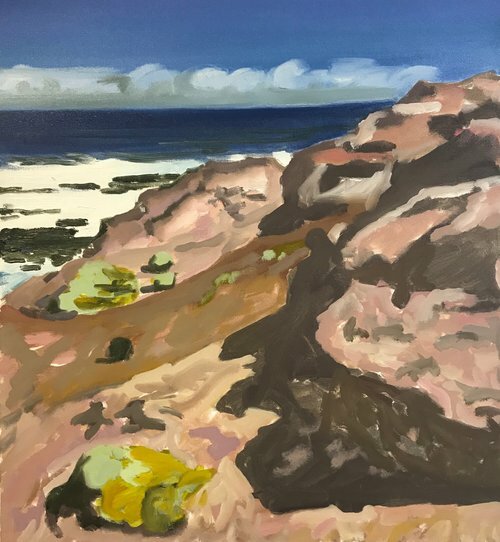 In 2005 Sophie relocated to Melbourne Australia and now resides on the Mornington Peninsula with her family; drawing inspiration from the surroundings & everyday life. Sophie’s paintings are not striving to be photographic or hyper real, but experimental. Brush size, mark making and colour are key ingredients to create a new space. Beyond the recognition of the place or landscape; she wants the painting to be the experience, a journey, a memory. The paint, colour, shapes and form creating the space.